View Point Resort is located at the southern pinnacle of Koh Tao, with its dramatic scenery and stunning panoramic views. With the ocean on one side and the jungle on the other, the property is tucked away amongst the rocks, overlooking the beach. A new generation of Thai artisans has created beautiful organic spaces that blend naturally into the surrounding environment for you to enjoy. 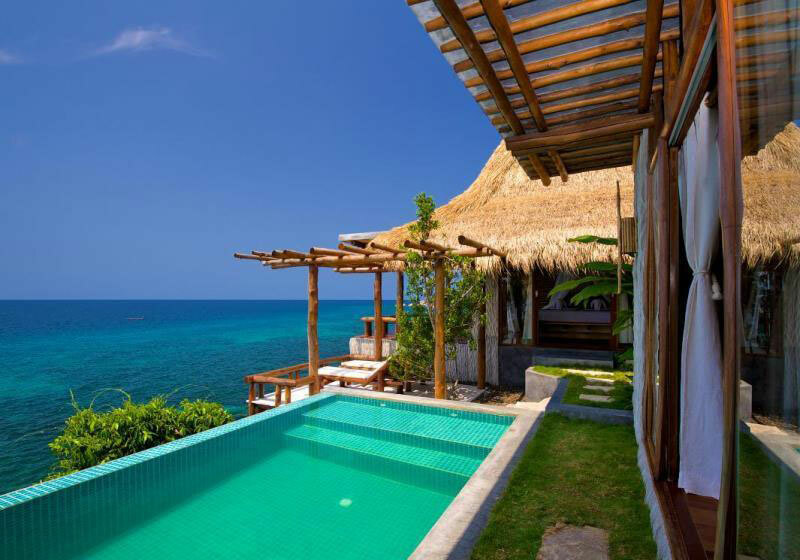 The villas and cottages have been built by craftsmen using local raw materials. The resort has individually designed accommodation which ranges from larger private Pool Villas to smaller, but nonetheless spectacular, Deluxe Sea View Cottages and Garden View Cottages. The open plan design of the buildings bring guests closer to nature. You must be prepared to be in contact with nature! Guests can relax from sunrise to sunset, accompanied by the music of the local birds and gentle sound of the sea. You will hear the call of the toukeis, and you will be amazed by the land crabs that scurry through the beautiful and colorful garden. Short Description: View Point Resort is located at the southern pinnacle of Koh Tao, with its dramatic scenery and stunning panoramic views. With the ocean on one side and the jungle on the other, the property is tucked away amongst the rocks, overlooking the beach.